It is essential that the trench is broad and deep. The block should have eight inches of room behind it, and that is why sizing the trench counts a lot. Six to eight inches of space in the base, the material is enough for the complete bury. This particular tip can prevent the wall from tipping after the freeze or thaw cycles in the extreme cold weather conditions. Using a laser level or a depth pole can be beneficial in this regard. It is important to compact the soil, which is in the trench bottom and for this purpose, a hand tamper can be quite useful. This step can be advantageous because it is essential that the wall should not settle. The experts are of the opinion that crushed stone can be vital for the base in comparison with the gravel. However, the crushed stone can be quite expensive, but there are various benefits to using it as it can stay compacted, which is essential. To handle the heaving forces, the ideal crushed stone size would be ½ inches and ¾ inches. On the other hand, the rounded stones like pea gravel cannot form strong interlocking bonds. It is essential to leave the rocks at a height, which is no higher than ½ inches. Getting the first course flat is imperative. For this purpose, it is better to use the blocks with the heavy rubber. It is wise to set the course close to the center of the trench. It is essential to get rid of the unattractive hump, which can be in the top course. For this purpose, it is critical to sweep before the stacking. It is essential to make the top of the second course in level with the grade. The second course should be started at this particular point. It is possible to save money at this point since there is a possibility to match the cheapest style or color with the form of the wall. Usually, the most common color is gray. Providing plenty of drainages is essential. It is wise to install a drain grate after every 25 ft. To 50 ft. It is also wise to drain the tile to daylight. There is a variety of options. The solid blocks are more massive whereas lighter blocks are hollow and available as well. However, the lighter blocks cannot split, as there are chances of voids being exposed. The only black filling is also a time-consuming process for some hollow blocks. A block splitter can assist in matching the rough spaces if the ends of a block are visible. The rent price for a separator is usually $85 per day. It is possible to use a saw for the smooth cut as it can cut with or without water. There can be permanent stains on the driveways and sidewalks because of the water. The rent price for a saw per day is $80. Using a gas-powered saw can be quite useful for getting the smooth cut. There is a possibility of avoiding the dust with water, but the result would be quite messy. Grease pencils can leave marks, which can stay for quite a long time and therefore, soapstone pencils can be useful, as the soapstone would wash off in the rain. The price of these pencils is 25 cents, however; these cannot work on the wet blocks. It is essential to use the manufacturer instructions for using any block. It is important to note that if there is a significant gap, there are chances of a pathway for water. To allow room for the topsoil and turf, it is essential to backfill with stones. Usually, eight to ten inches would be enough. Securing the capstones is essential. To achieve the capstones, apply an adhesive but make sure that the blocks are dry before using. It is crucial to overhang the capstones, and the ideal measurements would be 1 inch to 1 ½ inches. It is essential to separate the wall tiers with a distance that is twice the height of wall below. For example, if the wall at the bottom measures 4 feet in height than the wall, which is to be built behind it should be at least 8 feet in height. 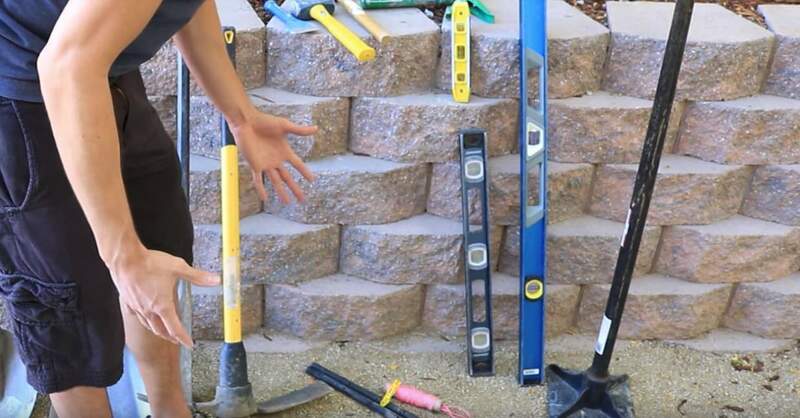 These points are essential to consider, as there are chances that the weight and pressure of the wall, which is above can destroy the wall below it. 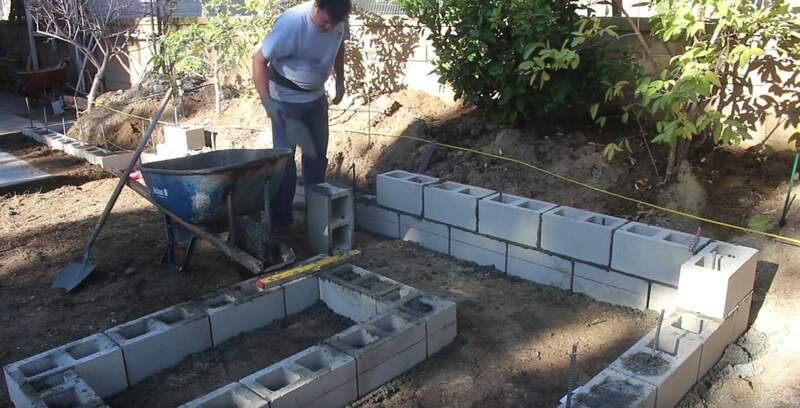 The retaining wall engineer would specify the width and depth of the base. The retaining wall engineer would also determine how far the base course should be. Ther retaining wall engineer would also provide specifications on the soil reinforcement systems. Receiving feedback from the amazing world out there is excellent. Any comments, suggestions, or tips, which can make work-life easier, would be great to share here. Technological advancement has made it possible to share views, comments, ideas, tips, and tricks with the world around us.